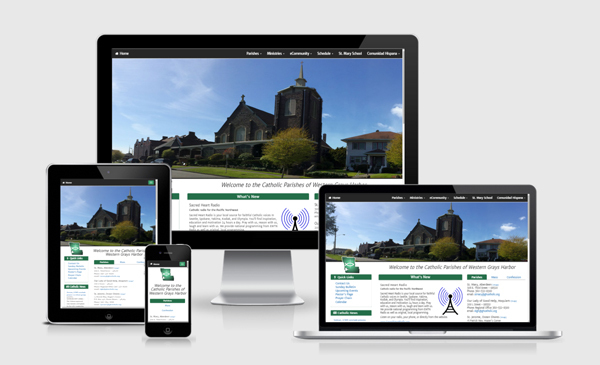 This is a website we originally designed in 2007 for the Catholic Parishes of Western Grays Harbor. Recently we updated the website and converted it to a responsive design using the Bootstrap framework. The home page features a tabbed layout that gives visitors quick access to church locations, mass times, etc. as well as an RSS feed of the latest Catholic news and an extended footer with helpful links and call to action buttons.